Admissions Director and coach Nancy Repay is always on her game looking for fun ways to showcase BNI to potential students. Athletic CYO nights are one of those creative and interactive ways prospective students can get a taste of Warrior life. Throughout the various seasons, Repay works with the athletic department to set up these special events. Schools from around the Diocese, as well as in Illinois, are invited to attend set game dates. Athletes are admitted free when they wear team jersey, get a ticket for free snacks from concessions, and are allowed to participate in various events. On September 5th, Soccer CYO night was attended by athletes from St. Casimir in Hammond, St. Michael in Schererville, and St. Mary in Griffith. Athletes were able to shoot around on the field during the half. 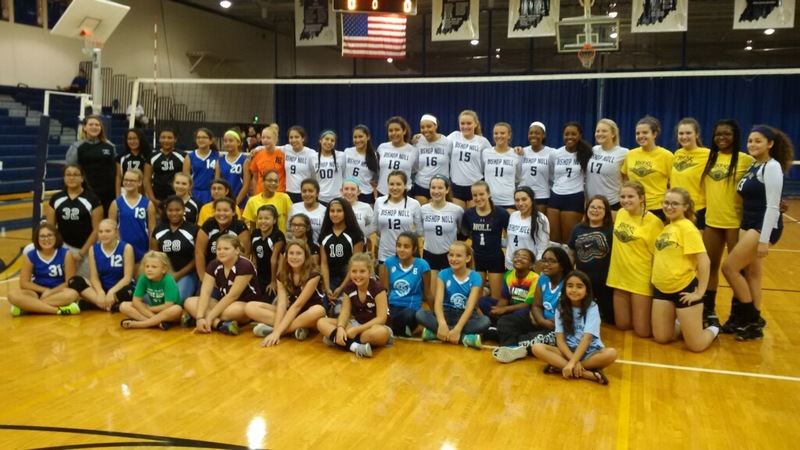 Volleyball held their CYO night on September 14th. 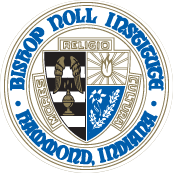 Athletes attended from St. Casimir in Hammond, St. Thomas Moore in Munster, Our Lady of Grace in Highland, St. John Bosco in Hammond, and Annunciata in Illinois. Shirts were thrown out to the crowd and athletes competed in a serving game to win various prizes. 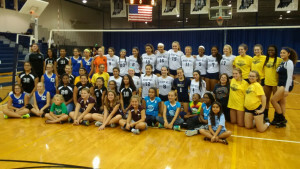 Afterwards, the schools were invited to take photos with the BNI girls team. Football is scheduled to have a CYO night on Friday, September 22nd and we will continue to have dates scheduled for winter as well. These activities will allow students to participate in current BNI events inspiring to be a part of the Warrior life!